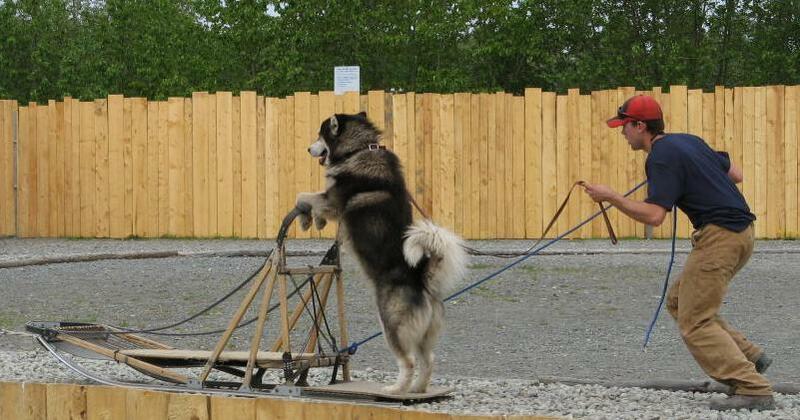 Anchorage, Alaska pictures: With my housing situation now under control I decided to relax and check out a new show in Anchorage called the "WildRide Sled Dog Show" today. 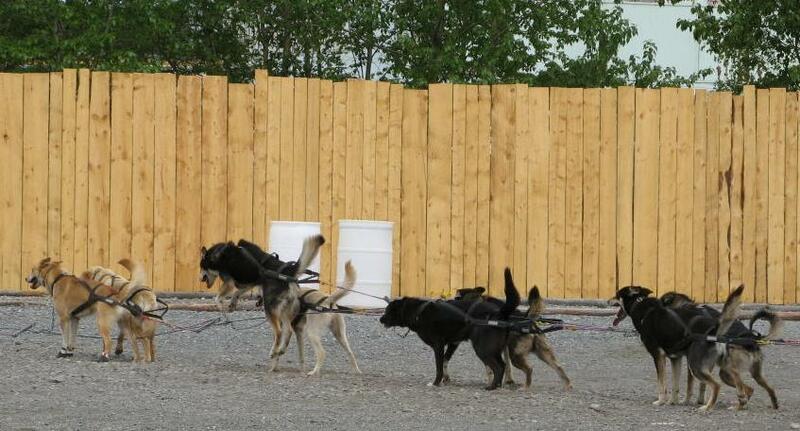 This show is put on by the Seavey family, a famous named in the Iditarod circle. 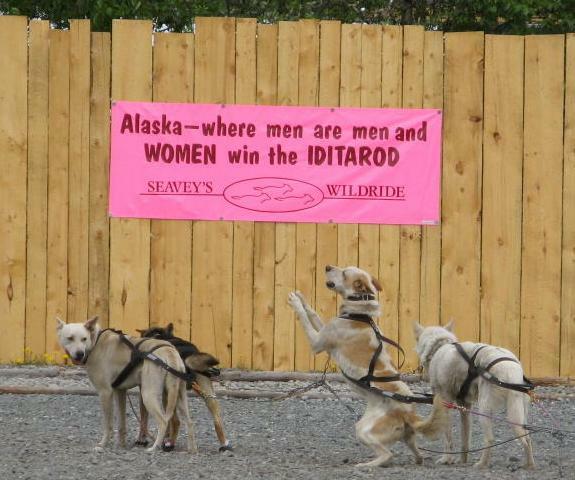 The Seavey's have always had a great sled dog show in Seward they call the Ididaride, but this WildRide show in Anchorage is new this year. 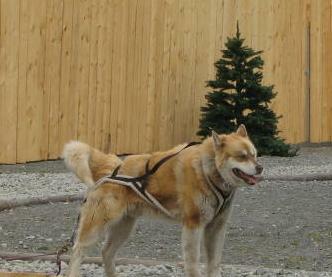 Here are a few pictures from the WildRide show, which includes one of the dogs from the Disney movie Eight Below. He reminds me of one of our huskies, named Zeus. While standing at the back door waiting to eat, Zeus could jump straight up in the air, like this dog, and the bottom of his feet were at least 30-36 inches off the ground (by the door handles). They showed a few neat tricks that the Eight Below dog can do, including crawling on his belly. While this show isn't the same as their show in Seward, and there is no ride for the audience members, the show is a good time, and if you haven't seen the show in Seward, you'll learn a couple of things about sledding. After the show you get to meet all the presenters, the dogs, and even hold some future sled-dog puppies. I hope you've enjoyed these Anchorage, Alaska pictures. For more great pictures of Anchorage -- and Seward -- just search the website using the 'search' link above.